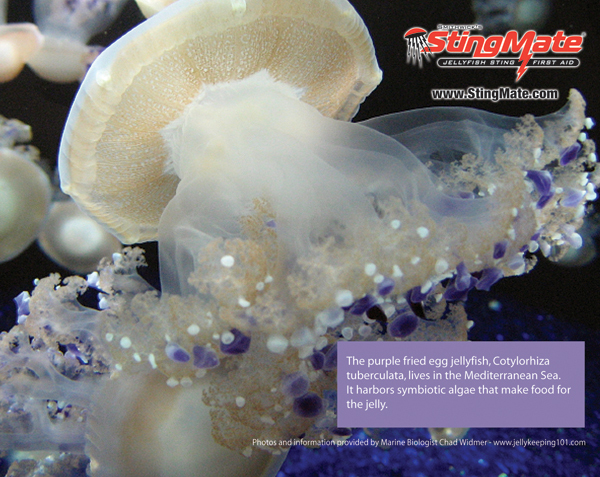 The purple fried egg jellyfish, Cotylorhiza tuberculata lives in the Mediterranean Sea. It harbors symbiotic algae that make food for jellyfish. www.stingmate.com Are you protected?